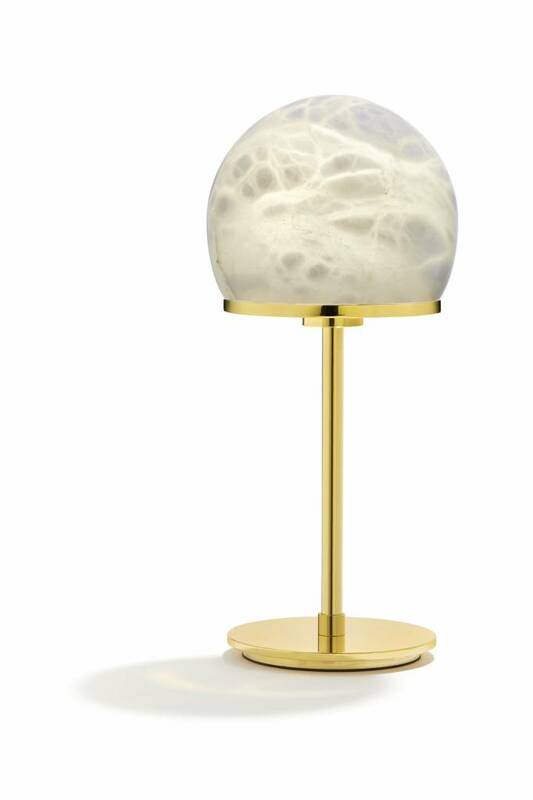 Inspired by one of Anna’s favorite foods, the humble mushroom, our Tartufo (“Truffle” in Italian) lamp is playful elegance itself. Handcrafted in Italy, each lamp is unique. Size: Small, 16" tall | Stone color and pattern may vary. | Alabaster, Brass-Plated Zinc | Wipe clean with soft, damp cloth as needed. | Use 60 watt fluorescent light bulbs only. | Made in Italy.